1. Plan for long-term care (LTC). The annual cost of LTC can reach well into six figures. These expenses aren’t covered by traditional health insurance policies or Medicare. To prevent LTC expenses from devouring your parents’ resources, work with them to develop a plan for funding their health care needs through LTC insurance or other investments. One of the simplest ways to help your parents financially is to make cash gifts to them. If gift and estate taxes are a concern, you can take advantage of the annual gift tax exclusion, which allows you to give each parent up to $15,000 per year without triggering taxes. You can pay an unlimited amount of medical expenses on your parents’ behalf, without tax consequences, so long as you make the payments directly to medical providers. 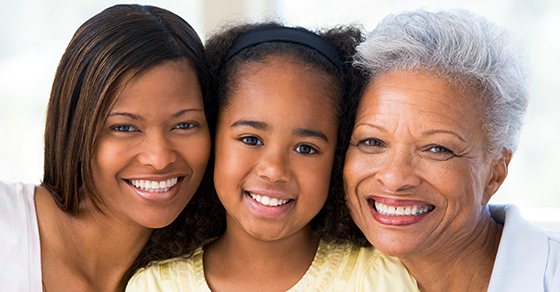 There are many trust-based strategies you can use to financially assist your parents. For example, in the event you predecease your parents, your estate plan might establish a trust for their benefit, with any remaining assets passing to your children when your parents die. 5. Buy your parents’ home. If your parents have built up significant equity in their home, consider buying it and leasing it back to them. This arrangement allows your parents to tap their home equity without moving out while providing you with valuable tax deductions for mortgage interest, depreciation, maintenance and other expenses. To avoid negative tax consequences, be sure to pay a fair price for the home (supported by a qualified appraisal) and charge your parents fair-market rent. As you review these and other options for providing financial assistance to your aging parents, try not to overdo it. If you give your parents too much, these assets could end up back in your estate and potentially be exposed to gift or estate taxes. Also, keep in mind that some gifts could disqualify your parents from certain federal or state government benefits. Contact us for additional details. This entry was posted in Budget-Friendly Tips, Estate Planning, Financial Planning, Personal Tax Related, Tax Planning, Tax Related and tagged 2017 Taxes, 2018 taxes, estate planning, estate planning tips, estate planning tips for the sandwich generation, Financial Planning, financial planning tips, personal tax tips, personal taxes, sandwich generation estate planning, tax related, trusts and gifts by Brady Ramsay. Bookmark the permalink. I like how you suggested to set up trusts in your estate planning for your kids and grandkids. I am thinking of starting my estate planning now. Thank you for the estate planning tips.